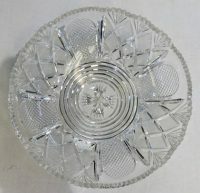 Epergne Replacement Crystal Bowls. 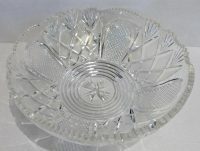 Large Crystal Center Bowl & 4 Side Crystal Bowls To Match. 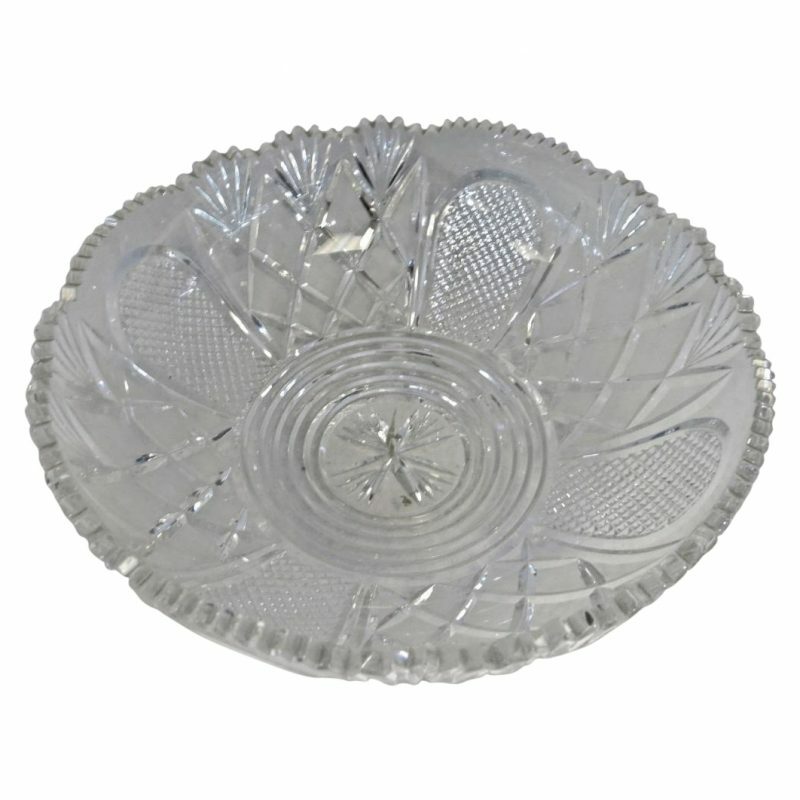 We Have Over 1000 Pieces Of Crystal Glass, For Epergne Replacement, In Our Huge Inventory. 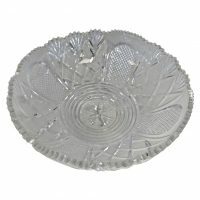 We Can Sell Single Bowls In A Variety Of Sizes & Cuts, Or We Can Supply You With An Replacement Entire Set. Please email me a picture of the bowl needed and also a picture of the epergne that it is needed for. I will need dimensions of the bowl needed to replace. The most important measurement is the EXACT opening of the metal ring that the bowl sits into. I only have round bowls in stock. Oval, custom shapes or custom designs can be blown & cut to order, but are much more expensive and take a long time.